Given the dearth of appropriate hymns for the Transfiguration of Our Lord (it is, after all, rather a recent observance), I was moved to write a hymn for the occasion a few years ago. The hymn was never sung anywhere, aside from my own car/office, nor was the text ever made public, as far as I can remember. It has remained hidden in my notes, but after reviewing it again I think it’s time to include it here. Because it is not a part of the authentic Lutheran chorale tradition, it will, like my other hymn, remain on the blog rather than getting its own page among the hymns. I hope, nevertheless, that it proves edifying to those who choose to peruse it. It is intended to be sung to the tune Veni Redemptor gentium, on which the tune for Luther’s hymn “Savior of the Nations, Come (Nun komm, der Heiden Heiland)” is based, but it can of course be sung to any tune in 8.8. 8.8. Also, because of the unfortunate compulsory introduction of the Gutenberg text editor on the WordPress platform, I am unable to implement some of the formatting that has become standard on the site. I am therefore experimenting here with some alternate formatting that reflects 16th- and 17th-century hymnal printing conventions. Eventually I may try migrating the rest of the site to this format, with the possibility of more beautiful fonts. We’ll see. In glory shone the Holy One, / The Father’s sole-begotten Son, / Whose radiant face and raiment bright / Gave forth on earth His heav’nly light. On Him this wondrous deed was wrought / When Peter, James, and John He brought / Unto the holy mountain’s height, / There to behold the glorious sight. His hidden glory did appear / And filled the men with holy fear / As they with mortal eyes beheld / The light by darkness never quelled. There Moses and Elijah stood, / Who spake the Word as they were moved / By God’s own Spirit, Light divine, / That on us men His Word might shine. Then did the brilliant cloud descend / Which darkness cannot comprehend / And veiled the Savior in that light / Which hath no end and knows no night. From thence the Father’s voice came down: / This Man is My beloved Son / With whom I am well pleased indeed, / So hear His voice, His teaching heed. Then all was back as it had been / And Christ they saw alone again / Who said, To none the vision tell / Till I have conquered death and hell. Though hidden now from mortal eyes, / His light among us brightly shines / As through the Apostolic Word / It beams on all who’ve gladly heard. This entry was posted in Hymns and tagged Transfiguration on January 28, 2019 by Christopher Neuendorf. The Gospel Lesson for the First Sunday in Advent, whether you’re using the historic Western lectionary or the new three-year lectionary developed by the modern Roman Catholic Church, is the Triumphal Entry of our Lord Jesus Christ into Jerusalem. It is in view of this Gospel Lesson that Paul Gerhardt wrote his Advent hymn “O Lord, How Shall I Meet Thee” (“Wie soll ich dich empfangen“). First published in the Crüger-Runge G.B. , 1653, No. 77 [actually No. 83], in 10 stanzas of 8 lines.… It is founded on Matthew 21:1–9, the Gospel for the first Sunday in Advent. The allusions in stanzas 6–9 would suggest that it was written during the Thirty Years’ War. It is one of Gerhardt’s finest productions, and is probably the best German Advent hymn. Gerhardt’s hymn appears in The Lutheran Hymnal , 1941, No. 58, where it is missing stanza 3. It also appears in the Lutheran Service Book , 2006, No. 334, where it is also missing stanzas 6, 7, and 9. The version at the Free Lutheran Chorale-Book includes all ten stanzas, restoring stanza 3 as found in the Evangelical Lutheran Hymn-Book , 1930, No. 136. This Advent season and always, may we all receive our Savior aright unto our eternal blessing! The Paul Gerhardt Memorial, situated before the Paul-Gerhardt-Kirche, stands in the town of Lübben, where Gerhardt served from 1668 until his death in 1676. Photo: Andreas Praefcke (Own work (own photograph)) [CC-BY-3.0], via Wikimedia Commons. This entry was posted in Advent and tagged Advent, Johann Crüger, Lutheran chorales, Lutheran hymns, O Lord How Shall I Meet Thee, Paul Gerhardt, Wie soll ich dich empfangen on November 27, 2014 by Christopher Neuendorf. 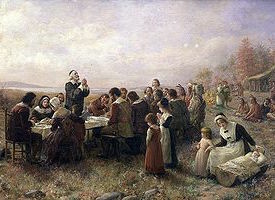 As we in the United States of America join in our National Day of Thanksgiving, my thoughts turn to those early European settlers in the New World, who gave humble and hearty thanks after the extreme sufferings of a harsh winter and a devastating famine. In the midst of our plenty, we tend to be less thankful to our God in Christ than were those poor souls who had lost so much. I am also put in mind of the hymn with which my congregation concluded this year’s Thanksgiving Eve celebration: Martin Rinckart’s “Now Thank We All Our God” (“Nun danket alle Gott“). Rinckart himself may seem not to have had much for which to be thankful. Like those Plymouth Pilgrims, he had suffered profoundly. Serving as pastor (archdeacon) of Eilenburg during the worst of the Thirty Years’ War, which brought with it not only wanton destruction but also the horrors of plague, Rinckart buried literally thousands of his parishioners, including, in 1637, his own wife. And yet this embattled clergyman produced one of the most jubilant hymns of thanksgiving ever penned. Rinckart patterned his thanksgiving hymn, originally intended as a table prayer, after a selection of verses from the Apocrypha, which, while not received as inspired Scripture among the Lutherans, continued to be read and held in esteem among them for centuries. 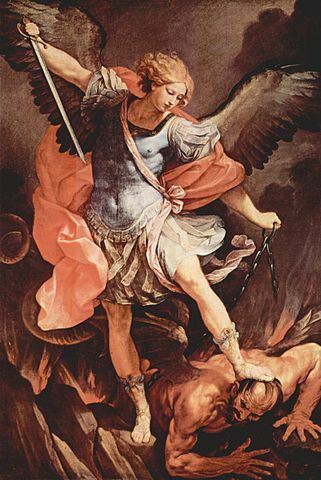 The verses in question are Sirach 50:22–24, “Now therefore bless ye the God of all, which only doeth wondrous things every where, which exalteth our days from the womb, and dealeth with us according to his mercy. He grant us joyfulness of heart, and that peace may be in our days in Israel for ever: That he would confirm his mercy with us, and deliver us at his time!” In fact, this passage served as the text from which the chaplains preached in thanksgiving at the conclusion of the Peace of Westphalia in 1648. It may be in connection with this joyous occasion that Rinckart wrote his hymn. May Rinckart’s words, and Johann Crüger’s glorious melody, truly embody our spirit of thankfulness toward our gracious God in Christ. This entry was posted in Articles on November 27, 2014 by Christopher Neuendorf. I’d really like to take a whole lot more time on this before putting it up here, but time is what I don’t have, and I’d love some feedback if anyone gets a chance to use it for Reformation Day this year. This is sheet music for Johannes Eccard’s SATTB setting of “Ein feste Burg,” with the lyrics for the first stanza from The Lutheran Hymnal. Eventually I’d like to upload sheet music for each stanza, but until then, you can just have your choir pencil in the lyrics of the stanza they’re going to sing. This is in the same key as the setting in TLH and LSB, so you can have choir and congregation go back and forth. Let me know what you think! 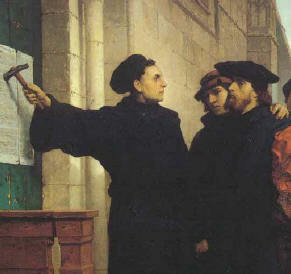 And a blessed Festival of the Reformation! This entry was posted in Resources on October 23, 2014 by Christopher Neuendorf.
. The sheer energy and beauty of this recording has kept me listening to this music non-stop for the past seven days. 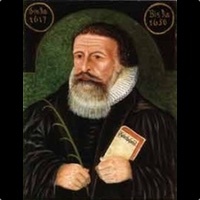 Aside from tracks 4–14, which are secular pieces, and 15–16, which come from the “Preussische Festlieder,” the real stars here are recordings of chorale settings taken from Johannes Eccard’s Geistliche Lieder auf den Choral , Königsberg, 1597. These are five-part arrangements of some of the greatest Lutheran chorales. The polyphony of Eccard’s arrangements is often intricate, but never ceases to serve the melody, which is placed firmly in the soprano. With such good material as a starting point, it would be difficult to perform these arrangements poorly, but the recordings on this album positively soar. ). While I have a mild appreciation for recordings of Johann Walter’s arrangement of Luther’s classic, this one blows them out of the water, only partly due to Eccard’s brilliance. The inclusion of percussion emphasizes the natural pulse of the music, and the performers clearly delight in what they are doing, particularly as the syncopation is emphasized in the penultimate line of each stanza (st. 1, “Sein grausam Rüstung ist,” st. 3, “Das Macht, er ist gericht’t“). One can only imagine the splendor had they elected to include stanza 2, with its soaring paean to Christ. ), stanzas 1 and 3, set to its 1525 Strassburg tune, later to be known as “Herr, wie du willst.” Those familiar with the Lutheran Service Book , Concordia Publishing House, 2006, may recognize the tune as that for No. 625, “Lord Jesus Christ, Life-Giving Bread.” This is truly the music of heaven. I would be content to go the rest of my days with this track playing on a continuous loop. ), with Johann Walter’s 1524 tune. The hymn is based on Psalm 51, and its penitential character is reflected in both the composition and its performance. ), the Reformer’s hymnic version of the Lord’s Prayer. The performance includes stanzas 1, 5, and 9. Stanza 5 is beautifully sung by a soloist, which serves as an effective foil to the stirringly powerful entry of the full choir for the triumphant “Amen” stanza. ). In Luther’s day, this hymn was sung at the conclusion of his “Erhalt uns, Herr, bei deinem Wort.” Here it concludes what I believe to be the finest recording of Lutheran chorales ever assembled. I confess a degree of disinterest in the secular pieces included here, which are well done but not my cup of tea. Each of the chorale recordings, however, is pure gold. To find five of them on one album is a treat not to be passed up. Here’s hoping and praying for many more such recordings in years to come! This entry was posted in Reviews on October 13, 2014 by Christopher Neuendorf.